People have been looking on to nature for finding various cures and remedies for almost all known conditions since centuries. The remedies, thus found, have been passed down from generation to generation. Most civilizations have recognized the different health benefits of the aromatherapy herbs. 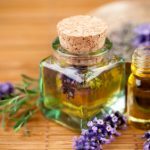 The essential oils prepared from these herbs are used in aromatherapy to gain numerous medical benefits that in turn, enhance physical and mental health. 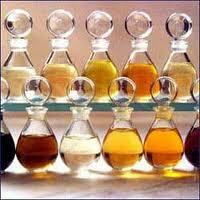 Given here are some homemade simple aromatherapy herbal remedies used for curing some common ailments. Go ahead and enjoy the luxury of aromatherapy at your home. Combine 3 drops of violet oil, 2 drops of rose oil, a capsule of vitamin E and 20 ml carrier oil. 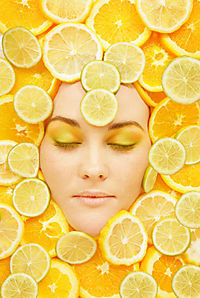 Mix the ingredients in a bottle and massage your body and skin tones. This herbal combination would provide relaxation and is suitable for face and neck massage and all skin types. Make an herbal combination by mixing 2 drops each of petitgrain oil, sandalwood oil and lavender oil with 20 ml carrier oil. Massage this oil on the neck line, temples and shoulders to gain relief from the problems of tension. Mix 2 drops each of lavender oil, lemon oil, eucalyptus oil and chamomile oil with 20 ml carrier oil. Follow this aromatherapy remedy 2 to 3 times a week, by asking an expert to massage this oil on your aching back portion to get relief from backaches. Get soft and supple hands and palms by combining 5 drops each of thyme oil, lime oil and eucalyptus oil, with 3 to 4 tablespoons of carrier oil. Massage your hands regularly with this herbal combination. An herbal combination of 3 drops each of eucalyptus oil, pine oil and frankincense oil with 20 ml carrier oil helps in relieving any aching portion of the body. Simply massage the oil gently and see the magic happen. Make another herbal remedy by mixing 1 drop of violet oil, 2 drops of rose oil, 1 drop of geranium oil and 20 ml carrier oil. 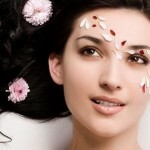 Apply this herbal mixture on your face to get rid of wrinkles and puffiness of eyes. Fill a tub with warm water and close the doors and windows of your bathroom. Add 6 drops of geranium oil and 4 drops of basil oil. Circulate the oils to mix in the water. Get into the water and enjoy the wonderful aroma to relieve yourself from nervousness. Fill a large container with warm water and add a few drops of essential peppermint oil. Drop your feet into the water and give your aching, tired, sore and worn out feet a great relief. Combine together 50 g aloe vera cream, 15 drops of calendula infused oil, 10 drops of sandalwood oil and 5 drops of benzoin oil. Mix and store in an airtight container. Treat your cracked skin by applying the cream twice a day. Mix 15 drops of eucalyptus oil, 13 drops of pine oil and 2 drops of peppermint oil. Blend the oils and store them in a clean dark-colored glass container. Apply 2 to 3 drops on a cotton ball and inhale occasionally to clear up a stuffy nose. Combine 15 drops of peppermint oil, 10 drops of cypress oil, 5 drops of lavender oil and 1 ounce sweet almond oil. Mix and store the herbal concoction in a dark-colored glass container. Massage a small amount on the oil on the abdominal area to get relief from menstrual cramps. Treat your bruises by mixing 8 drops of helichrysum oil to 1 ounce sweet almond oil. 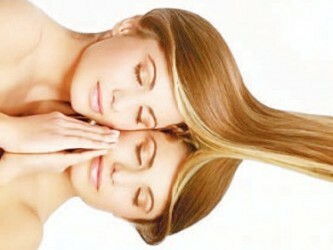 Massage the oil to the affected areas once or twice a day. Add 5 drops of black pepper oil and 20 drops of Roman chamomile oil to 2 ounces of carrier oil. Blend well and store in an airtight dark-colored glass container. Gently massage a small amount to the arthritic joints. However, consult your doctor before for proper massage techniques for your form of arthritis. Another herbal remedy for treating arthritis is mixing 10 drops each of Roman chamomile oil and helichrysum oil in 2 ounces of carrier oil. This mixture would provide an a relief from the pain.